Go birdwatching with a Birdingpal from Indonesia. organized by the Papua Bird Club for an excellent price. We have room for two. Let me know if you are interested. 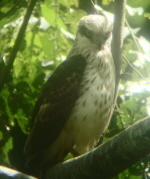 Aceh is a Great Birding Spot area. 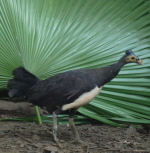 Many endemic bird species of Sumatra Island can be found in the Leuser Ecosystem Area or Gunung Leuser National Park of Aceh like Sumatran Laughing Trush. I am an American living in Bandung. I've been here only since June of 2007, but I can provide transportation to areas close to Bandung or even to Cibodas and Gunung Gede Pangrango where most of the Javan endemics can be found. I work in Baluran National Park as a field observer. I frequently do monitoring in Baluran NP and in Ijen Crater in my spare time. I have write a field guide book of Birds of Baluran National Park (in Bahasa languange). I am a birdwatching tour guide in Flores island Indonesia, I started to guide people around Flores since 2009. 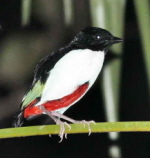 The birding areas in Flores are: Komodo National Park, Mt Mbeliling, Pota Wangka, Ente'e, Puarlolo, Golo Lusang, Rana Mese, Poco Ranaka, Pagal, Pocondeki Kisol, Nanga Rawa kisol and Kelimutu National Park. I'm an amateur birdwatcher, but can identify many birds of Sulawesi. I have worked with WCS (Wildlife Conservation Society) as a field assistant researcher doing a survey of the biodiversity in Sulawesi. Vegetation, Mammals and Birds. I want to help anyone who wanting to birdwatch in Sulawesi, since I know many places to watch birds. I currently live in Bukit Lawang near the Gunung Leuser National Park. My profession includes jungle trekking and educating people on the fauna and flora and different species of apes and birds that are found here. My friend who is a biology teacher and member of Bird Watching Groups in England came here to trek and teach me about the different species. From that I decided to continue learning about the natural Bird life here in Bukit Lawang. I am keen to enhance visitors experience and trek with those who are interested in watching the local bird species. A good place with many birding spot. 1. Merapi National Park: good for some Java's lowland and mountain birds such as White-bellied Fantail, Black-banded Barbet, Pink-headed Fruit Dove,Sunda Bulbul, Grey-throated Whiteye, Javan Hawk Eagle, Javan Whistling Thrush, etc. 2. Trisik Beach: a nice place to see Javan Plover and some migrant shorebirds and seabird (including Chrismast-island Frigatebird). Sometimes the rare endemic White-capped Munia also occur. 3. Prambanan Temple and Melia Purosani Hotel: Good for Java Sparrow. 4. Malioboro:up to 30000 Barn Swallow and 5000 Daurian Starling flocks in a single sunset, amazing sight for common bird. 5. UGM valley: Good place to take Blue-eared Kingfisher's picture. We are a local tour operator names,Ekowisata Papua Tour. and our office located on the central of Biak town,and act as a land tour operator and logistic organizer for any birding trip plan to Papua and West Papua. We would like to introduce our birding activities with our clients who always visiting and birding Papua and west Papua with our team. Anyway if you need our help to design and organize your birding trip to Papua and west Papua then please feel free to contact us any time. I currently living in Batu, East Java where I can get short distance to hot spot birding in East Java. 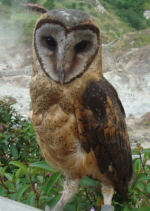 I started birding at 2010 and visit many hot spot birding in Indonesia, especially in East Java. So I have experience to see Java endemic birds. If you go to Sulawesi you must get in touch with Nurlin Djuni, he is the best guide in the area and has all the contacts to source mammal sites if he doesn’t know them himself. He is originally from Palu but works all over Sulawesi, nearby islands and I think Irian Jaya as well. The only world-class birding guide we had was Nurlin Djuni. Nurlin joined us for our few days on Halmahera and a day on Ternate. He helped us find most of our target birds fairly quickly and I had the feeling that any extra days on Halmahera would have been frustratingly slow in terms of new birds found. As for Nurlin, he is both top-flight and a lot of fun. He has professional bird books and knows his birds so well. He treks in places that I am too old to cover, but the places he took me had different endemic birds and he identified them all. Sense of humor and warmness. This guy, maybe around 30 now, is so outgoing and understands foreigners. He has a guitar which he lugs around and sings some funny songs in both English and his native Bahasa Indonesia, not to mention his dialect of Kaili from his native village on Sulawesi. Experience--I first met him when he was an English teacher at a language center in Palu, Central Sulawesi. Flexible--I asked him to guide my cycling tour customers for the trekking portion, and he was the highlight of their trip. I could not compete in any way. They loved everything he did and said. He is very patient and hard-working. I watched as he etched black crayon off of a poster he had drawn underneath, all done by hand. He has trekked for days into places I wouldn't imagine going, but the younger bird-watchers loved it. He will work day and night for you. He loves his family. Everything he does, he does for the people of his village, though he himself remains poor and humble. He is one of the most thoughtful people I have ever met.